Hi, this is a website about Homemade guitars, Cigar box guitars, 3 and 4 string guitars, Cookie tin banjos, and the history of hand made and homemade musical instruments from around the world. Give the photos time to load on your screen. Some of the photos are large in size. I wanted to display them nicely, so some will take time to load on your computer screen. These 2 albums are all old time blues music played on cigar box guitar. NO singing, NO band, NO regular guitars. These recordings are only authentic Delta Blues and slide cigar box guitar. 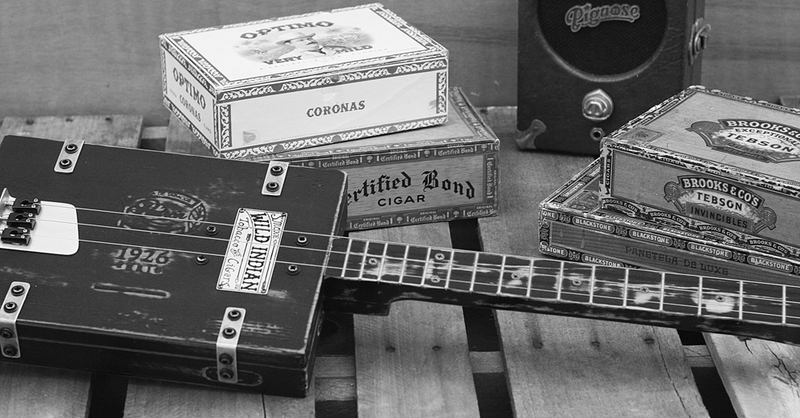 All of this music was recorded with only 3 and 4 string cigar box guitars. NO regular guitars. In these recordings, I wanted to record authentic Blues and Bottleneck slide cigar box guitar as realistic as possible. My goal with this music was to take the listener back to the 1880's and up to 1930's. I also recorded some Electric 1950's bottleneck slide to recreate and relive those long lost sounds. click the blue world that say "buy"
The easiest way to learn to play old time blues is to listen to old time blues. Listening is learning. There are words on the Right side that say "Older Post" above this sentence, click it and It will start you off at the with another older 30 post and photos. There is MANY pages on this site, give them time to load on your computer. Click "Home" to start over at the beginning. 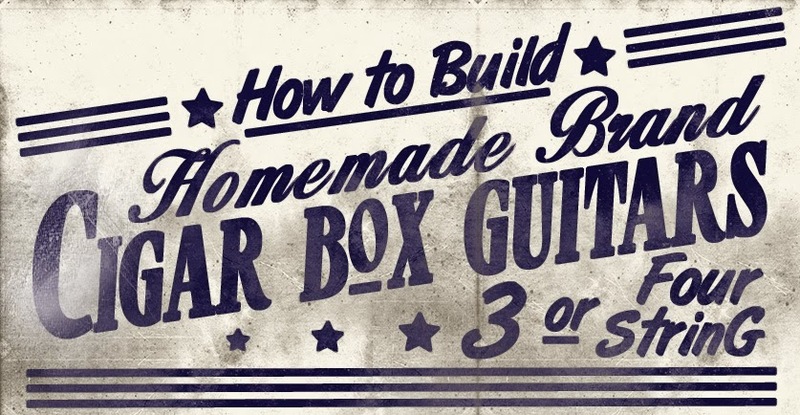 If you would like to learn how to make really great sounding cigar box guitars, I have really interesting DVD that will show you exactly what and how Red Dog Guitars are made. 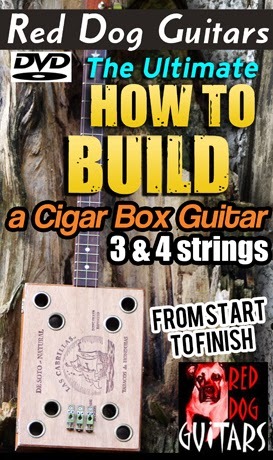 Even if you build guitars, tis DVD will take yours to the next level and help you to get the sound you have always wanted in a cigar box guitar, I will show you how and what to do, you'll be in my show looking over my shoulder learning all the little tips and tricks that can really bring out that vintage tone and sound, everything is covered from start to finish. It doesn't matter if this is your first time, or your 10th. This DVD is from A to Z, the complete start to finish with building of cigar box guitars. Full of many secrets that can only be found on a Red Dog Guitar,....listen to some of the videos on the website reddogguitars.com and you will hear that you too can build a guitar with that old time sound with this DVD.